With nearly 190 million monthly visitors, Zillow is the leading online real estate marketplace. A compelling Zillow profile is essential for agents who want to convert those visitors into warm leads. To create one, sign up on Zillow.com and craft an agent account with professional photography, positive reviews, and a strong call to action. Creating a Zillow agent profile is absolutely free but you can get an edge on your competitors by signing up for Zillow Premier Agent. In addition to ensuring you get exclusive agent placement on your own Zillow listings, you’ll show up as an alternative agent option on non-Premier Agent listings. Click here to learn more. To create a Zillow profile, go to Zillow’s homepage and click “Join” in the top right-hand corner. Next, provide your email address and a new password, and check the “I am a landlord or industry professional” box. Finally, choose the correct type of industry professional, provide your name, ZIP code, and phone number, and click “Continue.” After registration is complete, click on “Agent Hub” on the main menu to get started building your profile. Once you create your account, add a high-resolution, welcoming, and professional photo of yourself. To do so, click the “Edit” button on the round photo icon in your profile page and choose a professional headshot to upload. Ideally, your profile picture should be at least 330 pixels wide, 220 pixels high, and less than 25MB. To ensure you capture the most leads, use a photo that communicates you are not only professional and experienced, but approachable and easy to work with. Do so by choosing a photo background that reflects your personal brand, dressing like you would for your first meeting with a dream client, and smiling with confidence. Visit our guide to choosing the perfect real estate headshot for more tips and tricks. If you have a headshot but it needs some professional retouching, try BoxBrownie.com. In addition to their extensive listing photo and virtual staging services, BoxBrownie.com will retouch your headshot starting at just $4. Their portrait retouching services can improve portrait lighting, remove imperfections, and provide basic and advanced image enhancement to help you make an excellent first impression. While you’re on the “Edit Profile” page, add your professional information, including your office address, phone number, website, and social media pages. This section is best used to demonstrate that you’re an authority in your field and geographic area. You should also provide users with multiple ways to connect by linking out to your website and most active social media accounts. After you fill out your professional information, be sure to click “Submit” to save it. 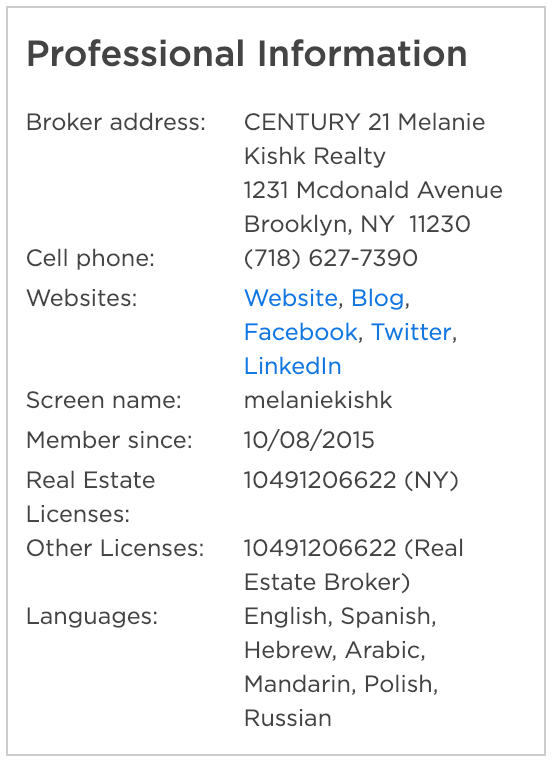 In the example below, broker Melanie Kishk includes straightforward contact information and her social media profiles under the “Websites” category. This is a great way to attract potential clients who are interested in following your listings or learning more about you before making an agent decision. Plus, including all of your social media pages is a great way to communicate your cohesive brand. Degrees in real estate development, master of business administration degrees (MBAs), and other post-secondary degrees aren’t required to sell real estate, but they demonstrate that you’re an expert in your field. It’s best to add these credentials after your name so that they appear prominently on your profile. To do so, simply update your name while on the “Edit Profile” page. If you prefer to discuss your education or credentials in the context of your realty career, use the “About Me” section to share your background and explain how it helps you get the best results for clients (more on this in step 6). Finally, use the “Specialties” section to list up to four unique skills related to your credentials. A unique selling proposition (USP) is what distinguishes you from the competition. In real estate, this can be your ability to list and sell homes faster than competitors, your extensive interior design and staging experience, or that you help more first-time homebuyers than any other real estate team in your area. Once you identify your USP, include it in your “Specialties” on the “Edit Profile” page. You should also include it in the “About Me” section. 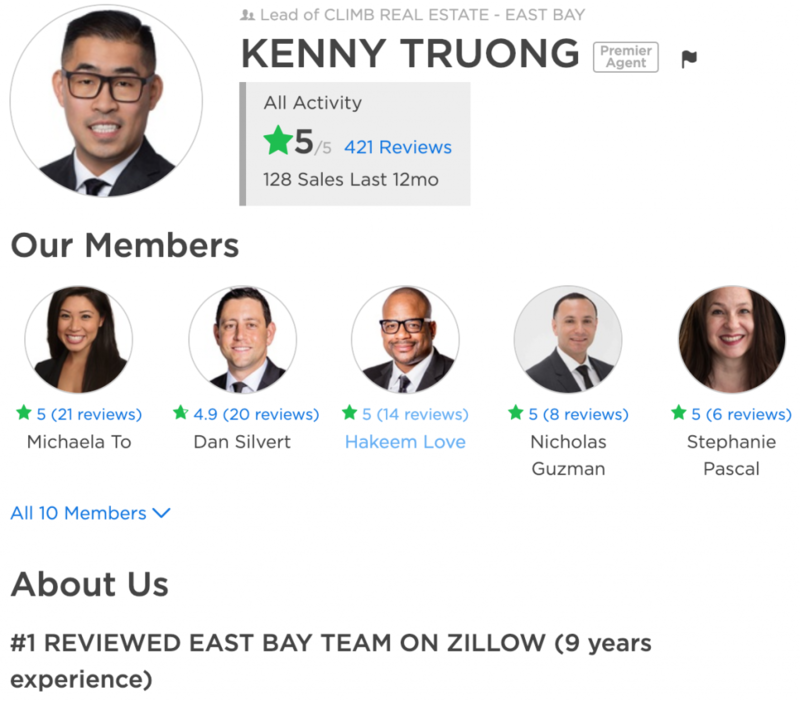 For example, Kenny Truong, Director of Inside Sales with Climb Real Estate Group – East Bay in San Francisco, uses his Zillow agent profile to highlight his brokerage’s USP—being the top-rated team on Zillow in his ZIP code. In addition to letting his reviews speak for themselves, he includes his USP at the top of his “About Us” section and then links out to helpful websites for potential clients who want to buy or sell a home. To begin editing this portion of your profile, click the “Edit” button on your profile and select “About Me.” Use this section of your Zillow agent profile to convey your enthusiasm for what you do, share information about who you serve, and highlight your unique selling proposition. Be succinct but enthusiastic and appeal to the wants and needs of homebuyers or sellers. Your real estate story: Tell the prospect why you’re in the real estate industry, but be sure you use the third person to make a professional first impression. For more tips on creating an appealing real estate story, check out our real estate bio tips. Experience and specialties: The “Specialties” section is limited to four choices, so you should use the “About Me” section to detail your unique skills and specific real estate experience. Unique selling proposition: Your USP is an integral part of your real estate business and should be a consistent theme throughout your “About Me” section. Show potential clients how your USP can help them by relating your personal story and experience. 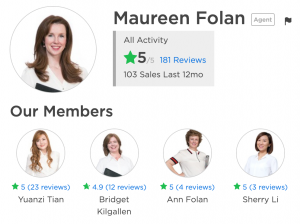 Sales statistics and reviews: In addition to using the “Past Sales” portion of your Zillow agent profile to share sales statistics, you can highlight your most impressive sales and reviews in your “About Me” section. Make sure these align with your USP. Targeted keywords: Increase your visibility by including keywords that you rank for in Google. Then, link those keywords to your website or blog to increase your domain authority. 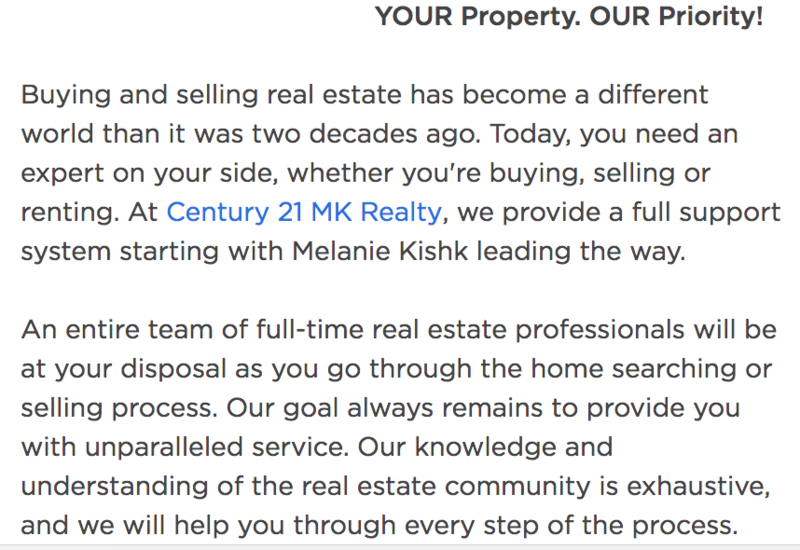 For example, in Kishk’s “About Me” section below, she describes whom her team serves, includes a link to her website within the section, and starts with a great tagline: “YOUR Property. OUR Priority!” As you write your “About Me” section, remember that those who read it are considering why they should choose you over another agent. Potential clients come to Zillow for two reasons: Sellers come to gauge the value of their home based on live listings and buyers visit the site to browse available homes in their price range. This makes your Zillow agent profile a great opportunity to show that you’re closing deals and that your clients love working with you. To add information about your sales history, click on your profile, then click “Past Sales.” Be sure to include complete addresses and sale dates. 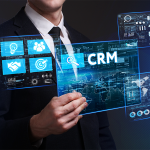 Additionally, adding reviews attracts potential buyers and sellers who want to know that you have a history of great service and successful sales. To request reviews, click on “Request Reviews” from your agent profile page. Fill out the email addresses of past clients and a simple note asking for their honest feedback on their own home transaction experiences. You can also reply to reviews to provide context around specific transactions. Once you have a Zillow agent profile set up, connect it to your listings by going to the “More” tab on each of your Zillow listings and choosing “Claim Your Listing” from the drop-down menu; if you’re a Premier Agent, your listings will automatically be linked to your profile. 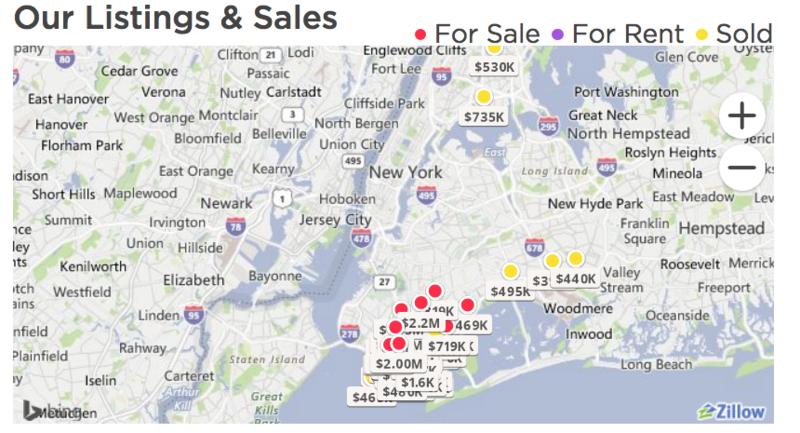 Zillow will then place a map and list of current listings under your profile. This feature enables homeowners and buyers to compare your properties and get a feel for the types of homes you represent. In addition to basic agent profiles, Zillow offers Zillow Premier Agent. This paid option enables agents and brokers to be the exclusive agent shown on their own listings. Premier Agents also get a custom MLS-integrated website through Zillow and have the ability to advertise on non-Premier Agent listings in their area. Check out our exclusive guide to how Zillow Premier Agent works to examine the perks from a real estate agent’s perspective. Zillow profiles give you the opportunity to present potential clients a snapshot of yourself, both professionally and personally. The best profiles use positive reviews, sales statistics, and video to convey experience and approachability. To help you craft your own successful profile, we picked the best ones currently on Zillow and explained why they stand out from the crowd. Sarah Minardi is an agent who knows how to connect with her clients in East Hampton. Her profile is great because of her wonderful introduction video about growing up in East Hampton and her experience living there today. The video makes it feel like East Hampton is a wonderful place to live while showcasing Sarah as someone with the connections you want in an agent. Videos like this help make a personal connection with clients before they ever meet you. Most homeowners are more likely to choose an agent with 279 5-star reviews than one with only a few. The number of 5-star reviews indicates both experience and quality. Matthew Bizzarro’s profile shows he is not only great at his job, but skilled at getting clients to post reviews. Don’t be shy about asking clients to review their experiences with you—sometimes it can make all the difference to people scanning profiles looking for their next agent. In her “About Me” section, Maureen Folan is masterful at telling the story of why she is the perfect choice for your next selling agent. Folan talks about her history in real estate, describing it as something that’s been “in her blood” since childhood. Encourage potential clients to connect with you by optimizing your agent profile with a compelling and relatable story. Your profile is no place to be modest. If you’ve won awards or have accomplished something notable, be sure to talk about it. Clients like telling their friends they’ve hired the “Top Real Estate Team in Omaha” (or wherever you live), and it often provides clients some assurance of your skill set. We might not all be “Broker to the Stars” like Fredrik Eklund (below), but most agents have accomplishments to highlight, like a top sale or Top 40 Under 40. “Fredrik and John have emerged as Manhattan’s ‘Broker to the Stars,’ having sold luxury penthouse apartments and mega-mansions to many of Hollywood, Wall Street, and the music industry’s biggest names. In addition to her impressive sales statistics and reviews, Judith McKenna includes “staging” in her specialty area. While this may not stand out at first, staging expertise can give an agent an edge over competitors. Most agents are listing only whether they are primarily a buyer’s agent or a listing (seller) agent, so include your expertise among your specialties to stand out from the crowd. 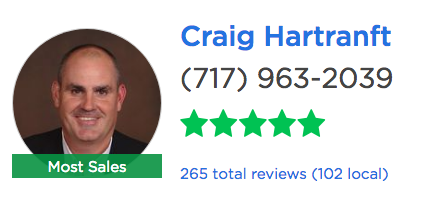 Craig Hartranft does something very smart by including his team sales statistics in his Zillow agent profile—not just his own. By including team sales, Zillow designates his profile as “most sales.” Having this designation certainly catches the eye when someone is browsing. 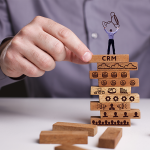 If you lead a team, include their sales and your own to earn this helpful profile designation, but be sure to make this clear in your “About Me” section. At the end of the day, your Zillow agent profile is an advertisement for your services. Joseph Tsomik understands this by expanding his visibility with Zillow Premier Agent and by including a call to action early in his “About Me” section. In addition to listing helpful skills like property management and staging, Tsomik provides a sense of urgency by including his phone number and the message “Don’t Wait!” to help prompt potential leads to action. There are a lot of transplants in San Francisco, which is why Simon Shue chose to differentiate himself with a native’s passion for the Bay Area. Not only did he grow up in San Francisco, but he “lives and breathes” it. He underscores his passion and knowledge of the area again and again in a portion of his “About Me” section. Shue understands that with so many people moving to the area, many will prefer an insider to guide them in their purchase. What we loved about Laura Kaufman’s profile is that she puts links throughout her “About Me” section and leads potential customers to an incredible amount of self-promotional resources. You’ll see that she links to her client testimonials, her website, and a video she’s created—all within one section of her profile. Sometimes we assume potential clients will inherently see the differences between agents, but that’s not always the case. In an area like San Francisco, Craig Ackerman highlights his use of technology, which is sure to appeal to his primary audience. Zillow Premier Agent is Zillow’s paid advertising tool that lets agents and brokers increase visibility and grow their business by getting exclusive agent placement on their own listings. The platform also gives agents access to an IDX-enabled website and gives them preferential listings on properties that belong to non-Premier agents. Premier Agent is ZIP code-specific, so pricing ranges from $20 to $60 per lead, depending on your market. Is a Zillow Account Free? A Zillow account is free for everyone, including agents, brokers, and non-industry professionals. However, Zillow Premier Agent, the platform’s advertising platform, is a paid service. For more information, check out our guide as to whether or not Zillow Premier Agent leads are worth the cost. To add real estate specialties to your agent profile, log in to your Zillow account. From the “Edit” pull-down menu on the right-hand side of the screen, select “Profile” and scroll down to the “Specialties” section. Zillow enables you to select a maximum of four specialties, so if you want to add a specialty, you may have to remove one of your existing selections. Then, scroll to the bottom and click “Submit” to save your changes. How Do I Update My Zillow Agent Profile? 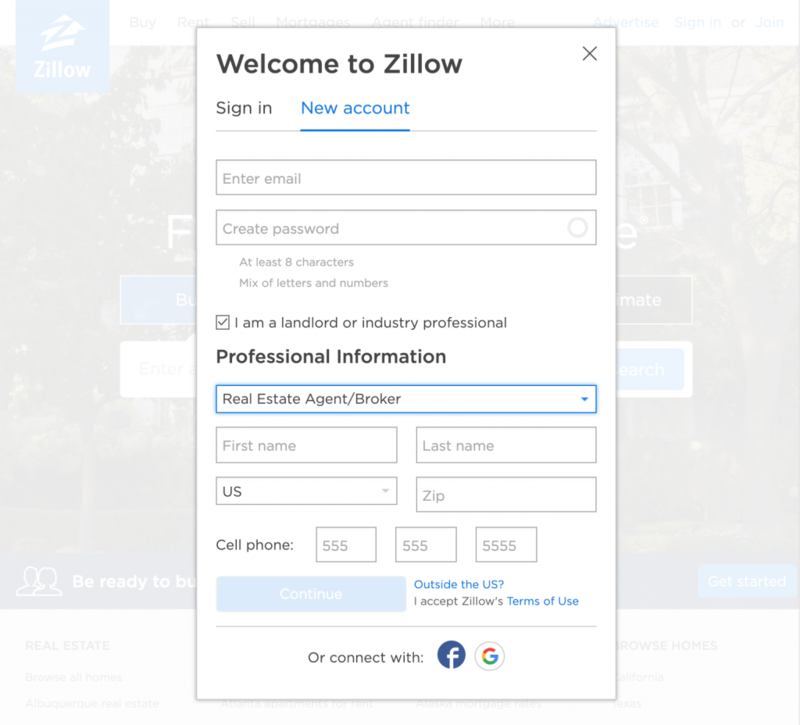 To update your Zillow agent profile, log in to your account and access your agent profile from the toolbar at the top of the screen. Go to the “Edit” pull-down menu on the right-hand side of the page and select “Profile” or “About Me,” depending on which section you want to update. You will then be able to update your professional information or modify other profile information as desired. Then, scroll to the bottom and click “Submit” to save your changes. Creating a standout Zillow agent profile is something any agent can do. Use your profile to tell a compelling story, share client reviews, and highlight your strengths. When optimized, Zillow profiles are an excellent way to demonstrate to potential clients why you’re the best agent to meet their needs. This will results in more leads who are ready to buy or sell. Most of the examples above happen to be from agents and brokers who use Zillow Premier Agent to boost lead generation. Try Zillow Premier Agent if you want to increase visibility on the largest real estate platform on the internet and optimize your lead generation strategy. Click here to get started and find out what Zillow Premier Agent can do for you and your team.